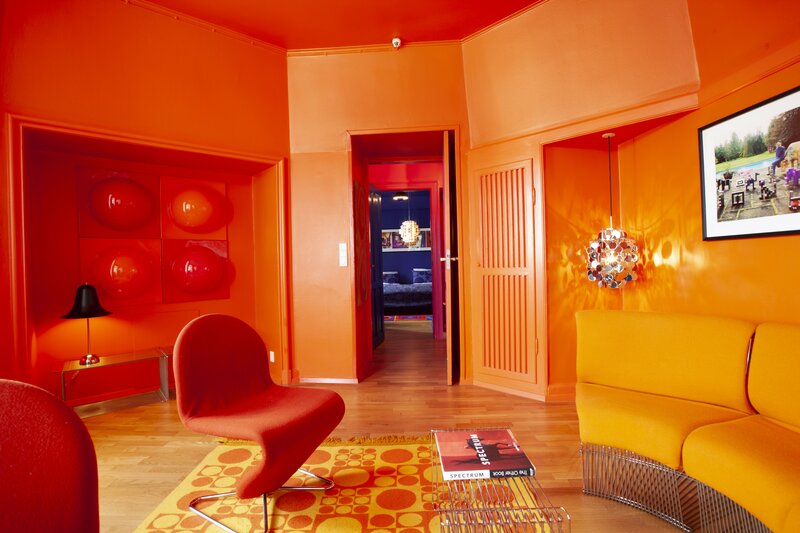 Our Verner Panton Suite is approximately 35m2. The suite is divided into one bedroom and one living room. The suite overlooks H.C. Andersens Boulevard (main street) and Studiestræde (side street). The suite is furnished as our tribute to Verner Panton, who was one of the most significant world-renowned Danish furniture designers. Sleep in a king size bed while enjoying the colors and shapes of an original room. Enjoy time in your very own Panton Lounge. Check availability here, or request a stay. Read about Verner in our article universe. A stay here will stimulate your senses and give you a new view on classic Danish design. A unique suite with ever changing details.